England's squad for the 2018 World Cup is being announced today. 23 players will make the trip to Russia - and coincidentally 23 is also the number at which the chance of two people sharing a birthday reaches 50 per cent. In fact it's a shade over: 50.73 per cent. Yes, you read that right - with just 23 people gathered together, it's more likely than not that two of them will have the same birthday. Seems impossible, doesn't it? How can the number be that low? That was certainly my reaction when I first heard about the ‘Birthday Paradox' (as it has come to be known). If you ask people to guess how big the group needs to be they tend to go for 183 (366 divided by two), or possibly a slightly lower number. But hardly anyone guesses as low as 23. - You're the first person in the room. Then a second person comes in. 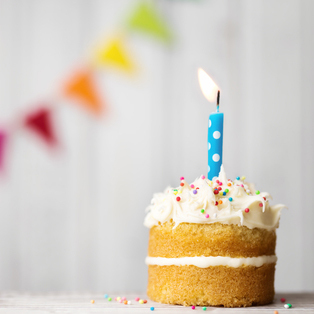 The chances that they share your birthday are 1 in 365 (let's forget about leap years for now). - A third person enters. The chances that they share your birthday are also 1 in 365. So the chances that either of those two people share your birthday are 2 in 365. - BUT - and this is the bit you tend to forget about - there is also a chance that the second and third people will share each other's birthday. So the chances of a shared birthday are slightly higher than you thought at first. Think of the possible links - the possibilities of a shared birthday - as the three sides of a triangle. - Then a fourth person enters the room. The possible links are now the four sides of a square, plus the two diagonals (six links). A fifth person gives you a five-sided shape - join all its points to each other and you'll get 10 links. See how the numbers are starting to grow? - By the time you reach 23 people, there are 253 possible links. (Each person connected to 22 others gives 506, divided by two because each link is between two people.) As I say, the exact maths of how this equates to a 50% chance of a shared birthday is tricky - but all of a sudden it instinctively feels right, doesn't it? I sometimes mention the Birthday Paradox on my Central Line walk (which passes the brilliant Gresham College, where I first learned about it). Once you get to 50 people there is a 97% chance of a shared birthday. With, say, 30 people on the walk (70%) I'm confident enough to predict a shared birthday - and the results usually bear that out. One of the best demonstrations was at the 2014 World Cup. Someone analysed the 32 squads (all containing 23 players, remember) - and found that in half of them (16) there were at least two players with the same birthday. A greyhound can accelerate from 0 to 45 mph in 1 second. This makes it the second-fastest accelerating animal on the planet, after the cheetah. A really striking way of learning about bio-mechanics - the greyhound can accelerate that quickly because it's so light, yet has such powerful legs. When the BBC's Top Gear raced one against a Mazda MX5 the greyhound accelerated more quickly - the Mazda has so much more weight to shift.